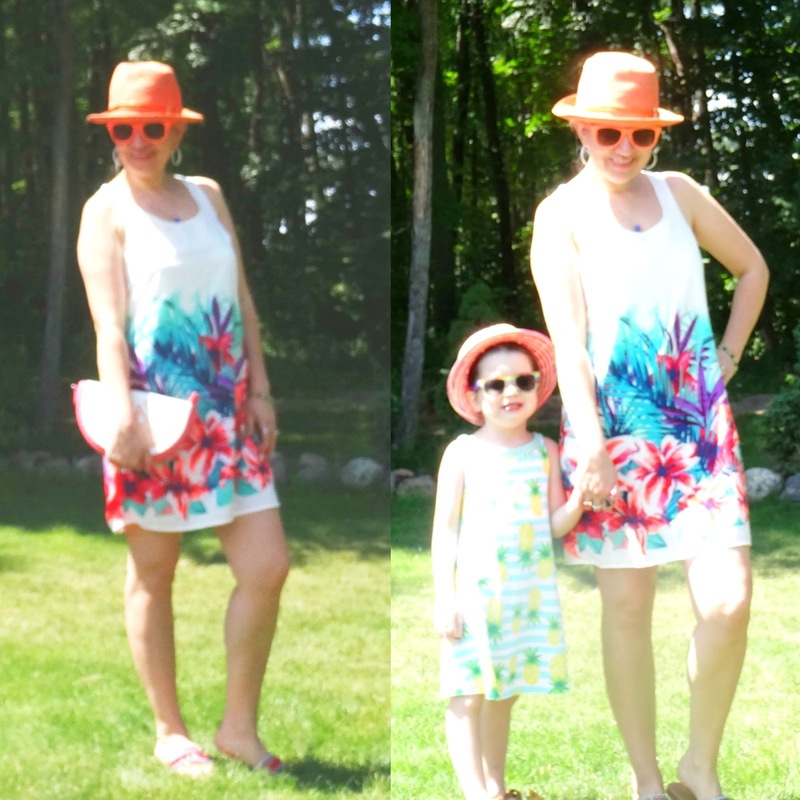 Mommy+Mini Style: Vacation Tropical Dresses with Fedoras. Good morning you all. Hope you all had a fantastic weekend! 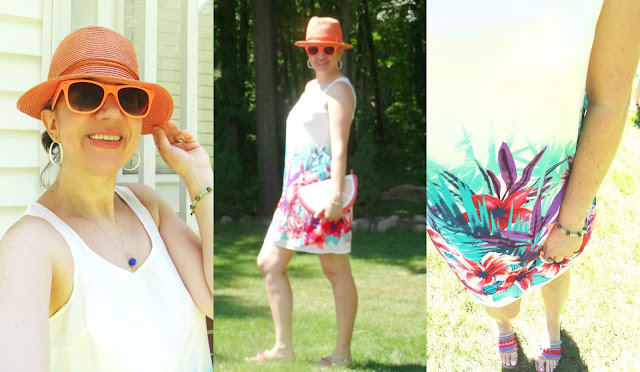 I am back with Vivian today sharing two Sleeveless Tropical Print Vacation Dresses which we wore with Cute Sandals and Fun, Bright-Colored Fedoras: mine is in a metallic orange and hers is tan+pink in a woven straw. 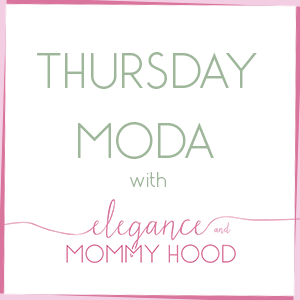 I love doing Mommy+Mini posts with my little one. 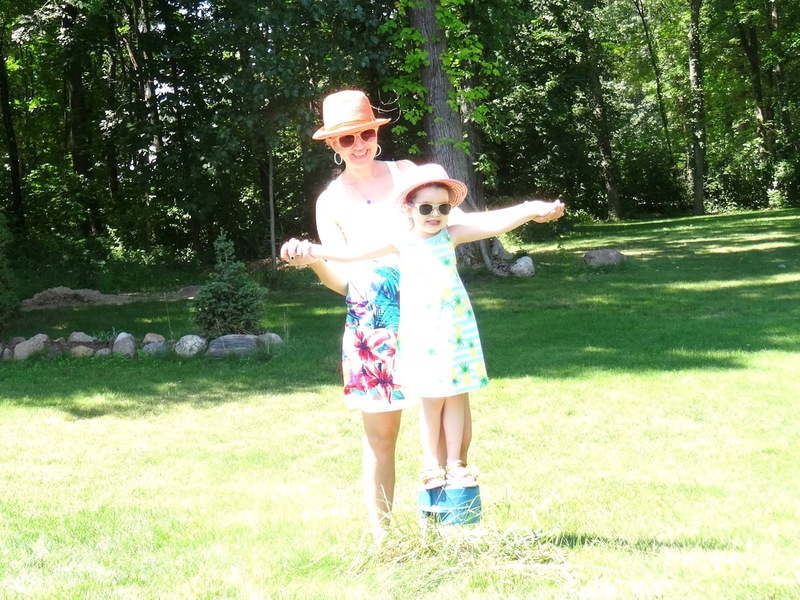 I am particularly fond of this one because I love our outfits and the photos. Vivian is my mini fashionista who loves to smile and pose for the camera (as you can see above - I love that pic). We wore these outfits on the first day of our Vacation and to the drive there. As you can tell we were so ready to go on a beach vacation. I have had my dress for a few years already. It is from Old Navy. I love the bold floral print which reminds me of Hawaiian tropical flowers. Because the dress is white and the colors in it are pink, turquoise, purple, orange and green, you can pair it with so much. So of course my adorable sandals from Target which are tan with turquoise+red crystals, poms and stones were the perfect match for it and comfortable to wear for a pretty long drive. I also added my Orange Metallic Fedora - also a piece I have owned for many years - and my new Coral+White Melon Slice Gorgeous Clutch from Charming Charlie. I love how my Metallic Purse matched my Metallic Hat. I had to pull my hair in a low bun though, since it was a hot day. The Orange Sunnies were also perfect for this dress and purse. I kept my jewelry simple as you will see with my White Enamel Hoops and Royal Blue Fireball Dainty Necklace. I think this dress, since it is a dressy silky material would be perfect for a casual outdoor wedding, like a destination or beach wedding or even a back-yard wedding. I think for a Summer casual wedding, the dress should be paired with some tan, orange, red or blue wedges like this go-with-everything pair, these fun espadrilles or these fringe bright beauties - my faves. I would also add a couple of pearl bracelets, a gorgeous bright pair of Statement Earrings, simple makeup but with a Red Lipstick and some beach waves. 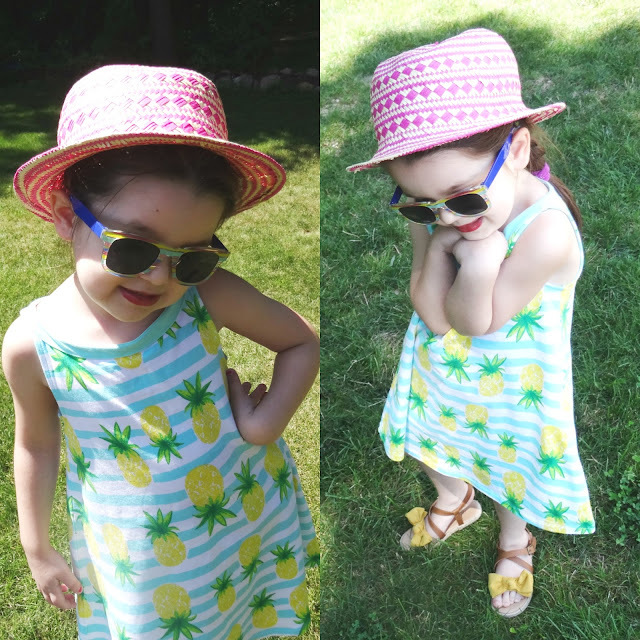 My little sunshine is rocking her New Yellow+Green Pineapple Trapeze Dress which combines stripes with pineapples and it is by Land's End. I love Land's End for its preppy, classic style and many pretty bright colors and prints. 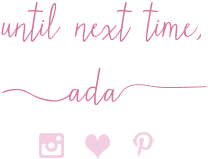 I don't own a lot of clothes from there but I especially prefer this brand for my daughter because they have beautiful pieces in fun colors and prints: dresses, sneakers, graphic tees, cardigans, leggings and lots of back-to-school pieces and so many great, well-made back-packs. Almost everything at Land's End is made of 100% cotton too and nothing beats cotton for kids' clothing. Vivian's Blue/Green/Yellow Striped Sunglasses and Tan+Mustard Yellow Bow Sandals were perfect for this dress and I just love her little Pink Straw Fedora. Striped Pineapple Trapeze Sleeveless Dress: Land's End (New). Pink+Tan Straw Fedora: Cat+Jack via Target. Rainbow-Striped Plastic Sunglasses: Target (from the Bullet's eye isle) (New). Camel Faux Leather Sandals w/ Large Faux Suede Mustard Bows: Old Navy (New).